Smoky Quartz. Telli-tal route, high Alps, Uri, Switzerland. Pure quartz crystals are colorless--color generally comes from impurities, or in the case of smoky quartz, natural irraditiation of aluminum-bearing material. 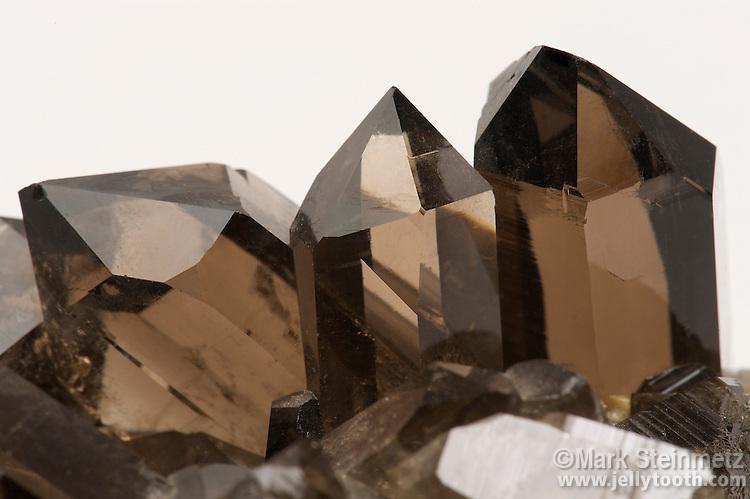 Smoky quartz is common in the Alps. There seems to be a relationship between the elevation at which the source is found and its darkness.